If you reside in a warm and humid climate, jasmine may be the flower for you. Most species are white, though a few will blossom in bright yellow shades. It releases its strong and sweet fragrance during the evening and nights. 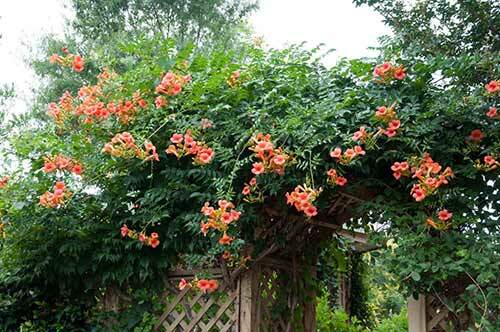 The trumpet vine blooms in different shades of yellow, red, and orange. These flowers will ensure a lively garden as they attract bees, hummingbirds, and other pollinators. 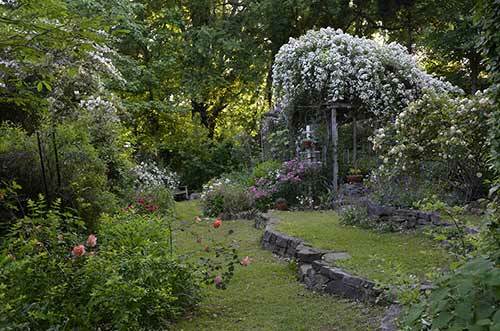 They grow best on arches, pergolas, and trellises in full to part sun. 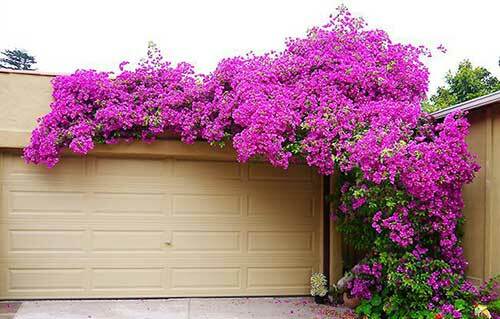 Bougainvillea is the exhibitionist of creeping plants. Bougainvilleas are virtually pest free and when cared for properly, it is disease-resistant. They make great bushes, hedges, and curb-liners to add value and beauty to your home. There is no limit of color when planting Bougainvilleas, your lawn will be covered in pinks, purples, oranges, yellows, and whites depending on the amount of variety you want and the species you plant. Bleeding hearts are ideal for providing shade in your yard. Their exotic shape will mesmerize every one of your guests. They require moist soil and partial sun, but is also suitable for colder weather. 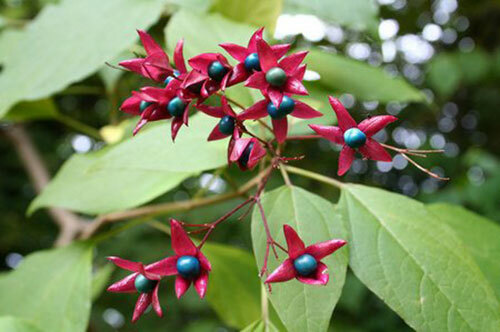 Native to Western Africa, the Glory Bower is also known as the Tropical Bleeding Heart. 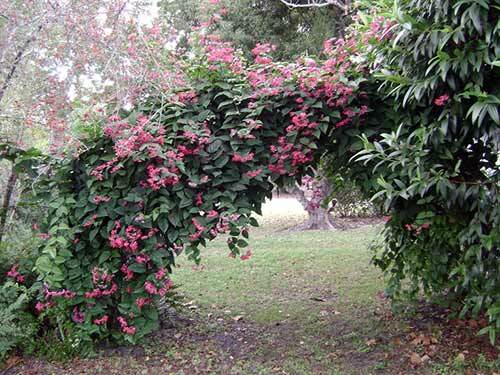 The Glory Bower can be grown as a houseplant, but is also suitable to cover pergolas. This plant will attract butterflies, bees, and birds. They can grow up to twelve feet and will bloom in a muted red and white tones. These fragrant, glossy white flowers bloom in clusters during the spring and summer. They are slow growers and require pruning and training in order to make them creep up any structures. They are one of the stronger flowers if you live in colder areas, and while slow growing, will be beautiful once fully matured. 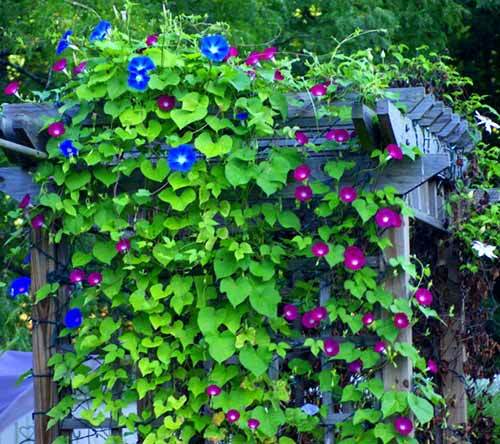 Morning Glory flowers are very easy to grow as long as they have access to an abundant amount of sun. It didn’t get its name by accident’ if you are a morning person and God bless you if you are, these flowers will greet you with perky blooms as you enjoy your first cup of coffee. If I had been gifted with my very own gazebo, ivy would be my first choice to accent it. 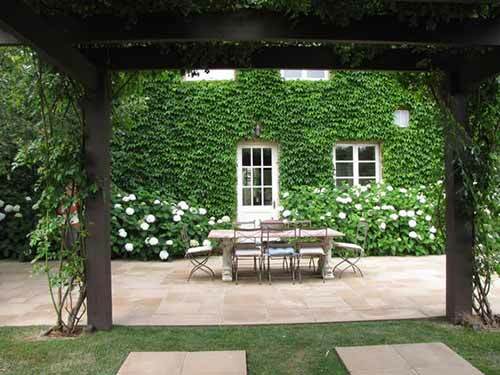 Ivy is one of the most low maintenance plants and can tolerate a wide range of weather. Variegated varieties can also be added which will garner more assortments of color and shapes. 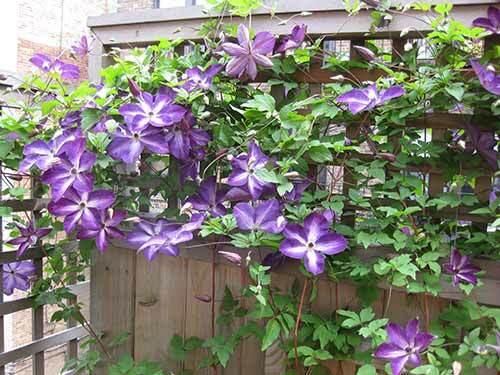 Clematis has been called one of the best pergola plants. Flowering will typically begin in the spring and its vines can bloom up to twenty feet high. 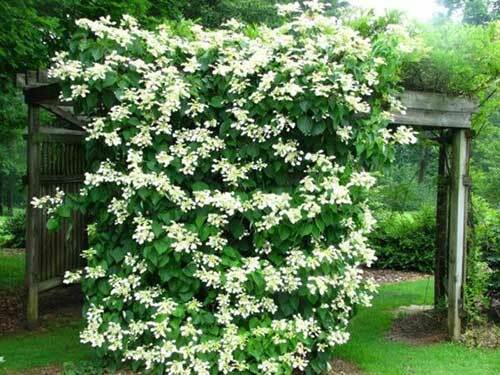 If you’re wanting immediate coverings for your pillars and pergola, purchase a clematis that is about two years old and plant. Now all you must to is water and prune regularly. 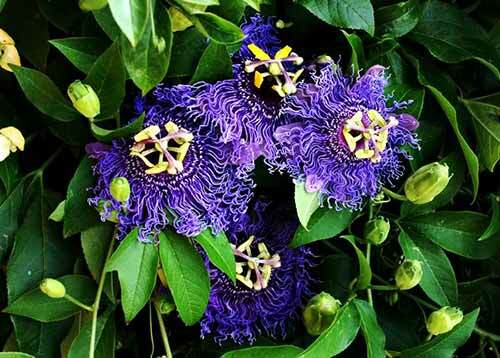 Finally we have the passion flower. These fast growing perennials grow best in the tropics, though it will still grow as an annual in colder climates. They provide rich scents, vibrant flowers, and edible fruits. Popular as a balcony and rooftop plant, they will climb your pillars with style. 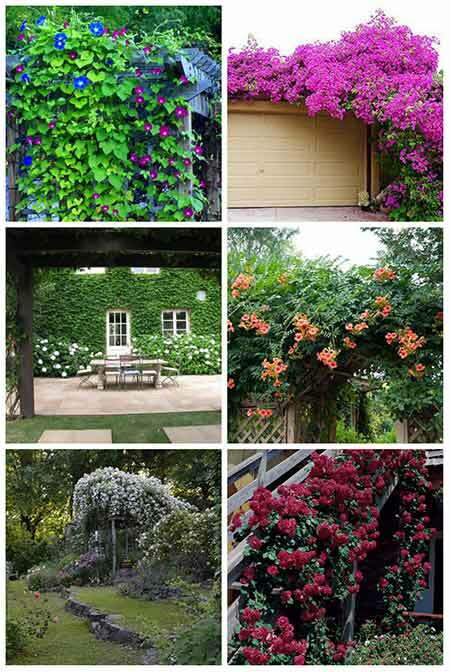 Thanks for checking out our “12 Best Climbing Plants for Pergolas and Arbors” article. If you found it useful please consider sharing it on Facebook and pinning it to your relevant Pinterest boards, this will help spread the word and help hundreds of people see this info too. See you on the next one!